HOLLYWOOD SPY: HOLLYWOOD SPY EXTENSIVE SPOTLIGHT ON LAVISH AND LUXURIOUS 16TH CENTURY HISTORICAL SAGA "THE MAGNIFICENT CENTURY" ON TURKISH SULTAN SULEIMAN AND HIS HAREM LEAD BY HURREM SULTANA! 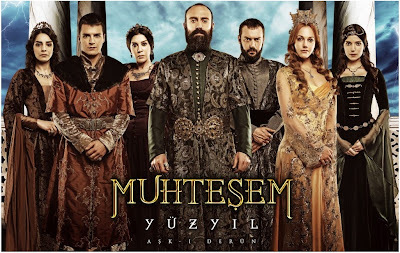 HOLLYWOOD SPY EXTENSIVE SPOTLIGHT ON LAVISH AND LUXURIOUS 16TH CENTURY HISTORICAL SAGA "THE MAGNIFICENT CENTURY" ON TURKISH SULTAN SULEIMAN AND HIS HAREM LEAD BY HURREM SULTANA! Set in the 16th century, the story follows the magnificent ascend to the power of the Ottoman sultan Suleiman whose empire was more extensive than the legendary one of Alexander the Great. He ruled Europe, Asia and Africa, ascending to the throne in the Topkapi Palace when he was only twenty six years old. His reign, known as the lawgiving era in Turkey, will last for amazing 46 years. While he was still ruling the province of Manisa as the prince, he found his concubine sultana Mahidevran and got his first son prince Mustafa. After taking over the throne and becoming the sultan, Suleiman will fall in love with a harem girl Alexandra who will later on become sultana Hurrem giving him four princes and one princess. While Suleiman fights with the Persian state in the East and the Roman Empire in the West, all of them aiming to conquer the world, Hurrem Sultan struggles with all obstacles in her way trying to make her status permanent in the Ottoman dynasty. While he fights with swords, soldiers and ships, Hurrem has to use her wit in order to beat all the inner enemies from his own family who want her removed from the palace. Turkish superstar Halit Ergenc plays Suleiman the Magnificent, the most powerful ruler of the Ottoman Empire, renowned for his legendary love for Hurrem Sultan, as well as the laws he implemented. During his lengthy 46 years of reign he confronted the Habsburg dynasty over the rule of Hungary, and he extended the dominion he had gained in the Mediterranean and annexed the Iraqi district from the Persians into the Ottoman rule. 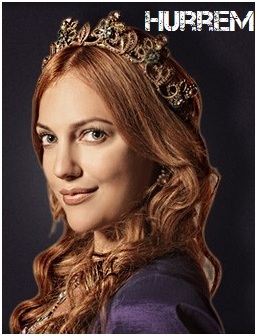 Played by breathtakingly gorgeous and charmingly talented Meryem Uzerli we first meet Hurrem as a slave from Ukraine whose family was killed and she was then taken to the harem in the Ottoman Palace. Making an impression on Suleiman with her wit and beauty, her power increases by giving birth to multiple crown princes thus upgrading her status to “Haseki Sultan”- son-bearing favorite concubine. She will be the first one who will get a status of a free woman from Suleiman and will even become his official married wife (something that hasn't happened before in history). Hurrem Sultan is renowned in history as the initializer of the era known as “Women’s Reign” during which the influential women of the Harem shared the power of governance. Hurrem's biggest enemies will be other ladies from Suleiman's family, from his first wife to his mother and his sisters, who were jealous of her power over the sultan, but throughout the show she manages to beat them all in numerous mindblowing twists, intriguing plots and dramatic scenes. Her love for the sultan will overcome all dangerous obstacles, all death threats, all assassinations, kidnappings, even all the sultan's later mistresses, and Suleiman will always go back to Hurrem sultan provoking the wrath in their enemies. She will also build hospitals and sarays for poor women and kids, for beggars and ill people. Suleiman's mother (Valide means mother), played by Nebahat Cehre, was the last royal Turkish woman of the harem, since all following sultanas will rise up from the slave status, while Valide was the daughter of the Khan of Crimea. In the beginning she was Hurrem's biggest enemy and she even tried to kill her a couple of times, but before her death she will realise the true love that Hurrem has for the sultan and after that Hurrem will take over the harem ruling it for decades to come. Played by Selma Ergec, she was Suleiman's favourite sister, who was married of to his best friend Grand Vizier Ibrahim with whom she will share deep love although he will later on cheat on her with a slave girl from harem. 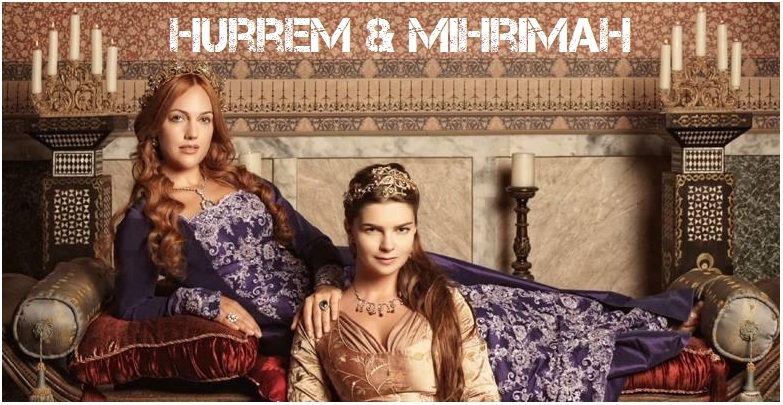 At the beginning she is an ally to Hurrem, but later on she will become her biggest enemy, falsely believing that it was Hurrem who ordered the killing of Ibrahim and not Suleiman. She will go crazy after Ibrahim's death. As all of Hurrem's enemies, Hatice Sultan will also die, committing suicide in shame and in fear of Suleiman's wrath when it is discovered that she was responsible for kidnapping Hurrem Sultan and keeping her secretly imprisoned for years in the third season. Sultan's favourite concubine before Hurrem arrives is played by Nur Fettahoglu. She gave birth to Suleiman's first son prince Mustafa, but her hatred towards Hurrem and many devious plots against Hurrem's life, together with the bad influence she had on Mustafa, whom she tried to convince that he should kill all of his brothers if he gets to the throne, will lead to her tragic destiny: she will be forced to live in poverty after her son Mustafa is slain for treason and plotting against his father the sultan. 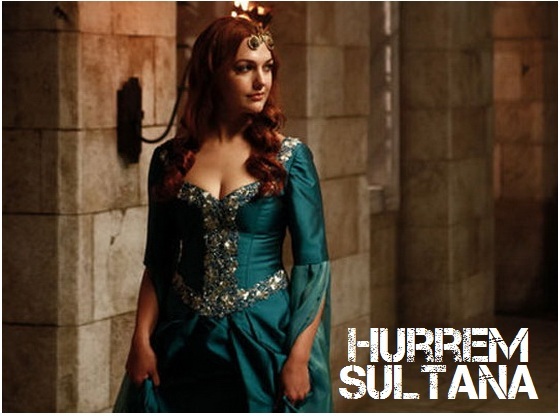 She never really learnt not to mess with much smarter Hurrem sultana. 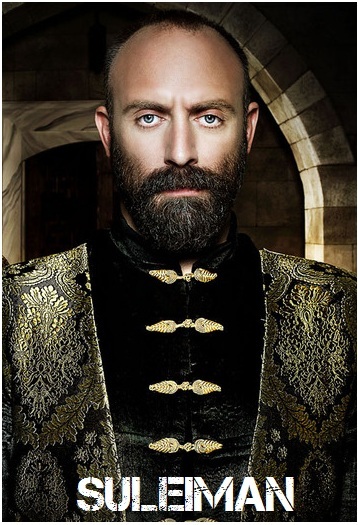 Suleiman's oldest son, and for a long time a crown prince, Sehzade Mustafa is played by Mehmet Gunsur. 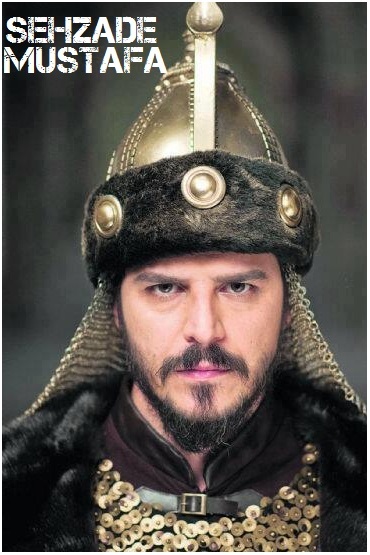 After growing up in Topkapi prince and being raised as the heir to the throne, he was sent to Manisa province to hone his ruling skills as the head of the district, but due to his stubbornest, his mother's numerous mistakes, and Hurrem sultana's intrigues (done to protect her own sons from Mahidevran sultana), he ends up killed by his father's orders when he threatens to overtake the throne. 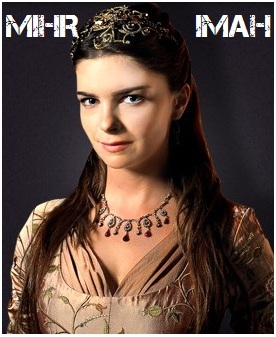 Suleiman's and Hurrem's only daughter, is sultan's most beloved child, played by Pelin Bekiroglu. After witnessing all the shameless attacks on her mother by all of her aunts, she becomes Hurrem sultana's biggest protector. In the show she had romantic stories with Tashlijali bey, prince Mustafa's best friend, and with Bali Bey, Suleiman's man of trust, but she was later on married to powerful Rustem pasha, her mother's biggest ally. She was in every respect her mother's daughter - powerful, smart, strong, unbeatable, beautiful and proud. Not only that she managed to beat all of her mother's enemies, but she also became her father's biggest support after Hurrem Sultana's death, and she helped her brothers Bayezid and Selim rule the empire after Suleiman's death. Sehzade Mehmet is played by Turkish heartthrob Gurbey Ileri. 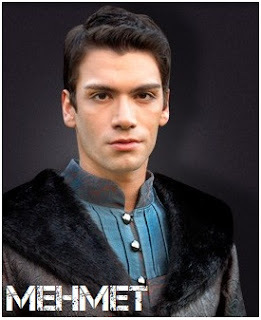 As Hurrem sultana's oldest son he is her main hope for beating Mustafa and Mahidevran sutlana in their fight for the throne. He is kind, gentle, loves his brother Mustafa despite all of the intrigues, but is in the end killed by a man hired by evil Mahidevran sultana (who will later on be punished for it with the death of her only son Mustafa). 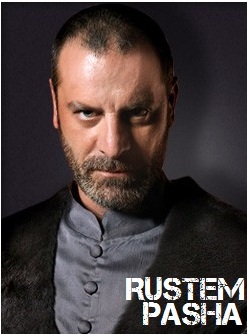 Played by Ozan Guven, Rustem has a spectacular rise in the show. From the head of the palace stables he becomes a ruler of a district, a member of sultan's divan, the husband of Mihrimah sultan, and Suleiman's Grand Vizier, all thanks to his faithful support to Hurrem sultana and to his outstanding wits and talents. He had a long and powerful rule in which he became the richest man in the empire. 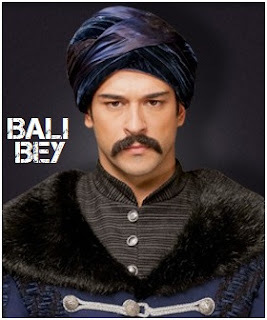 Malkocogly Bali Bey is played by Turkish superstar Burak Ozjivit. 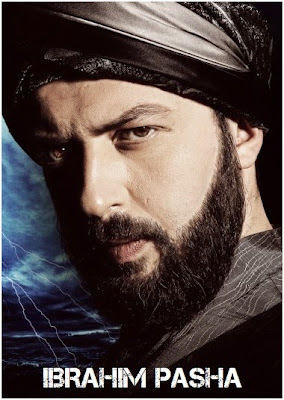 As a brave warrior, he becomes Sultan Suleiman's man of trust and the chamberlain of the Topkapi palace. In the series, he serves as the focus of many romantic scenes as a man who managed to seduce not only many common girls, but also three sultanas - Mihrimah, Esmahan and Aybige, numerous noble ladies and some ambassador's daughters. wonderful costumes.. it looks interesting. thank you for the solid share. The costumes are even more amazing when you see then in the show :) I know it's an extensive spotlight even though I had to omit some of the interesting characters from it :) Posts like these bring me numerous visits years to come. Boo Boo is quite cute, and the family has it's charming moments, but they are utter hillbillies and shouldn't really earn millions on being primitive as they are. What a great showcase! I'm certainly intrigued, though its likely too much effort to find the series for me to watch I might look for some historical fiction about the period. This looks seriously epic. Based on a book? BTW: Probably best series I've ever seen. Highly recommend. 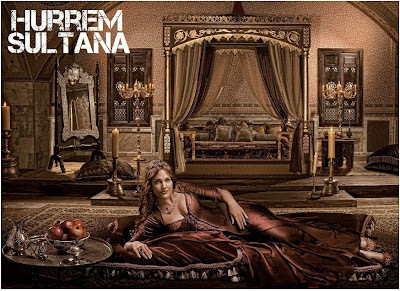 A glimpse into an old and very different world..I find Hurrem Saltana's character intriguing and the story very interesting. Hurrem's character is probably one of the best ones ever written for TV, and the actress is absolutely brilliant with many dimensions in her expressive acting. Looks and sounds epic, I hope they show it on British TV!! What extravagant costumes. Ah, those were the days! Hope we get it in Middle Earth? Yes, yes I want to see this now. Wow. Sounds and look epic. Forty-six years gives a long time to play with the story, too. 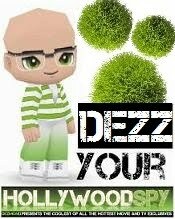 When is Season 4 really starting? It was to be 13 Saptember then 23rd. It did not at neither date. Do you know when? It is my favorite program. it already started last week :) It's on Wednesday in Turkey. 103 and 104th episode have been aired. I must confess I don't like the new Hurrem sultana, she is no Meryem Uzerli :((( But I do adore the new Cihangir and Selim. Thank you fror responding, but if there has been already two shows how come I cannot see it on Turkishweb? Thank you I will check that website. those videos are with Serbian translation, but you can still watch it, since you can hear everything in Turkish. It is a very nice show and we all waiting every night for it. glad you like it, we really needed such a lavish and well written show! But I do miss Meryem terribly, the new actress just doesn't have her charm, talent nor charisma. 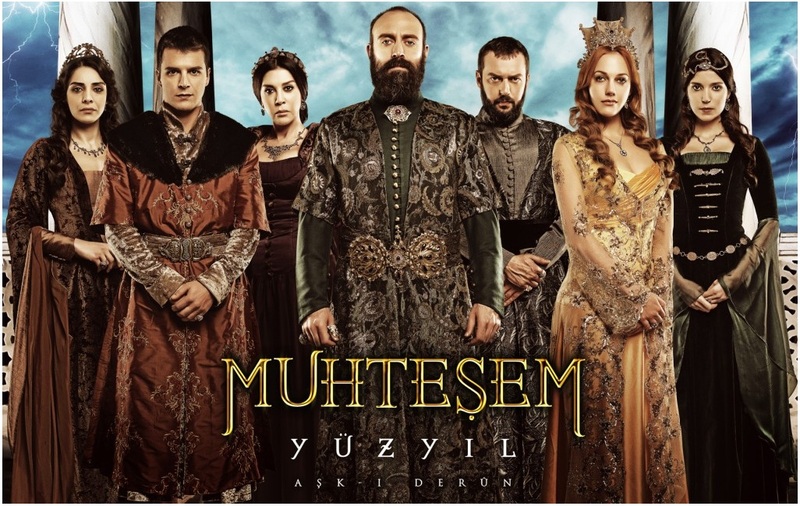 Here in New York & New Jersey.All actor's in Suleiman...The Best...Congratulation Turky. Certainly wish this was an announcement that all seasons would be coming to American TV. We need it so badly. Our programming is so worthless. I'm currently watching it on Netflix in Australia - loving it!! Glad to hear it, the final seasons, with the new actress, are much weaker, sadly.